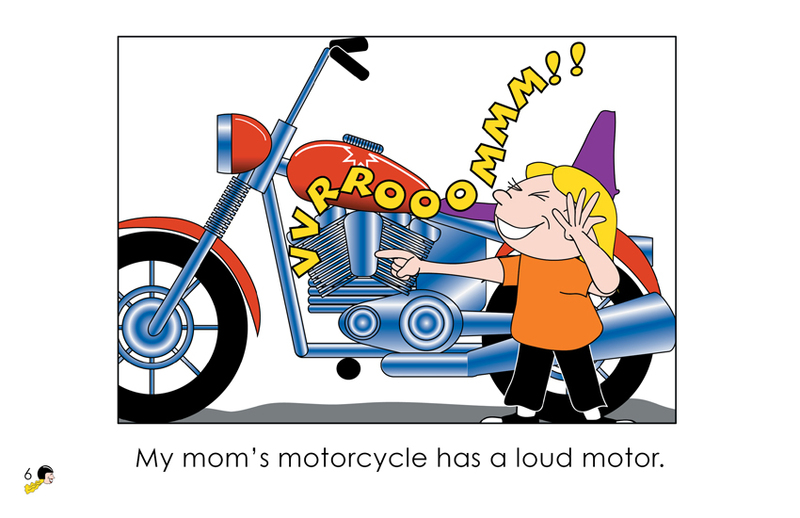 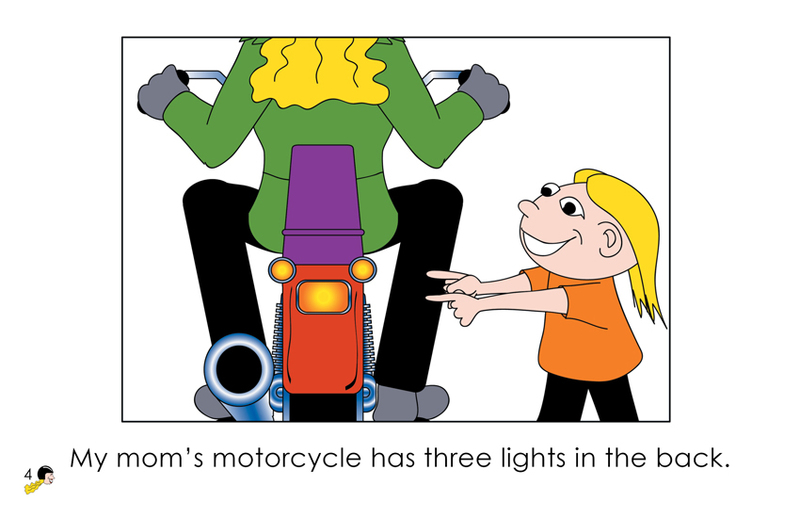 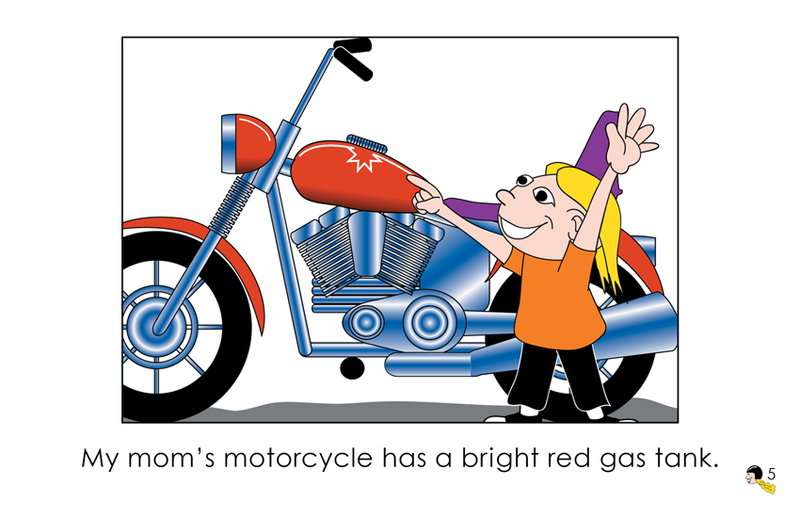 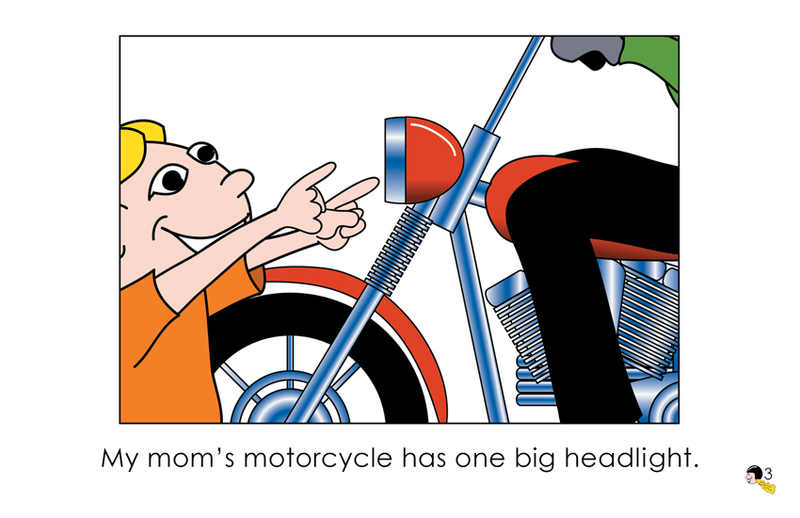 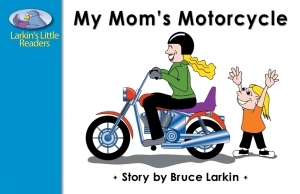 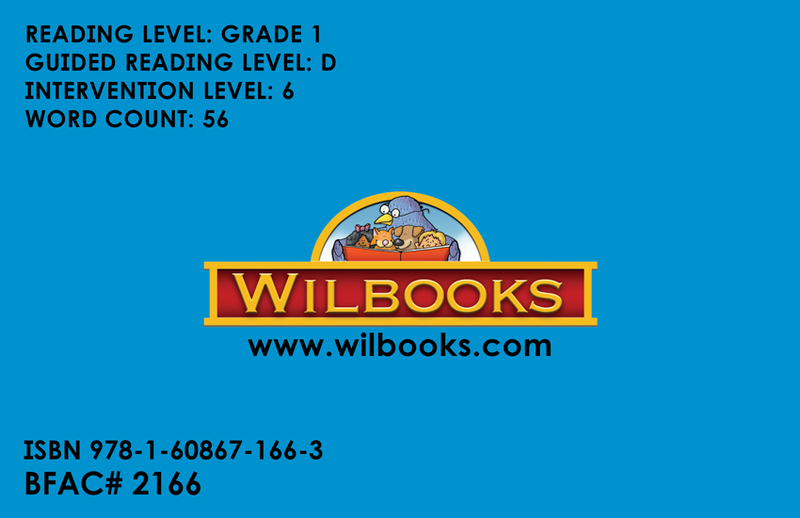 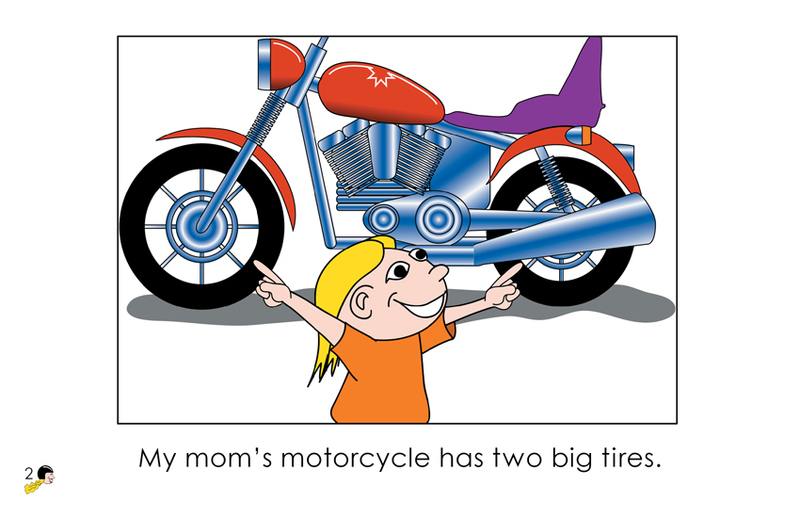 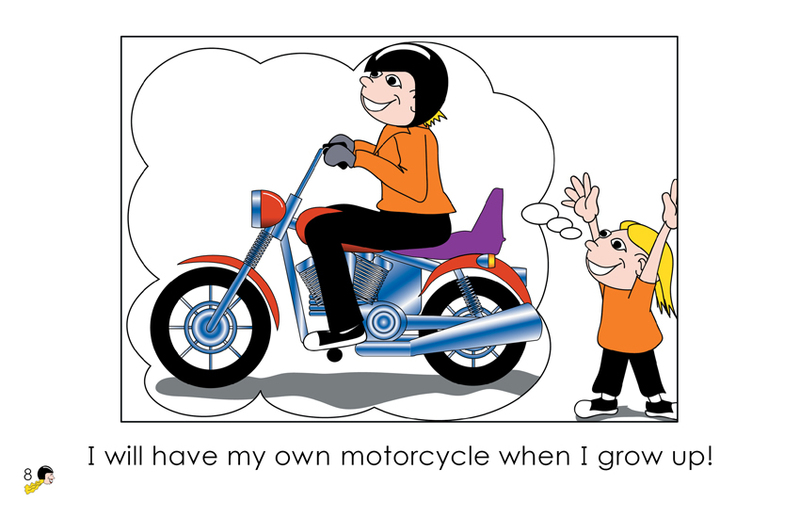 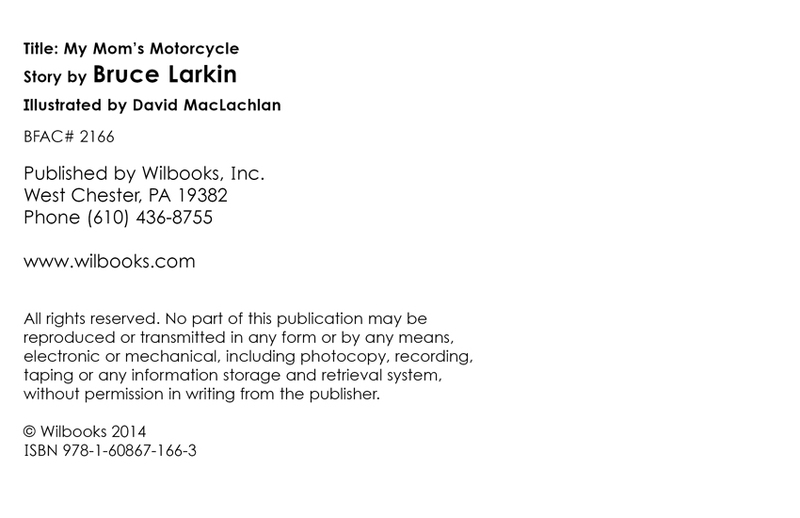 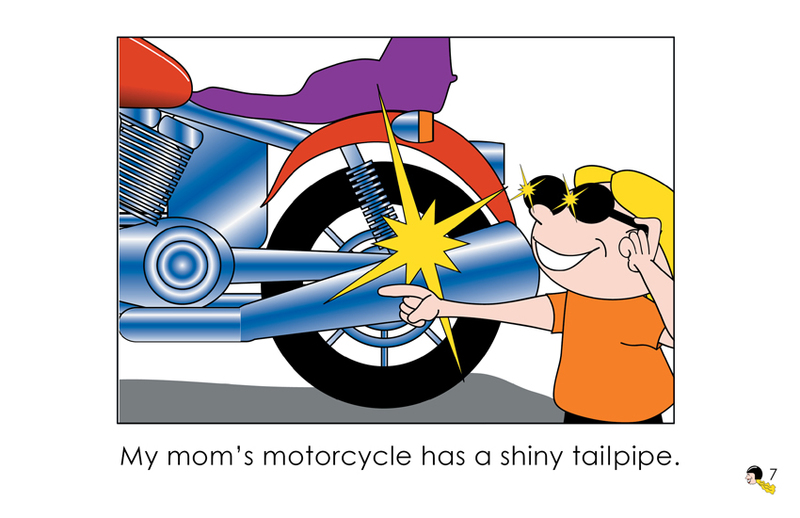 "My Mom's Motorcycle" is an 8-page informational book for first grade readers. 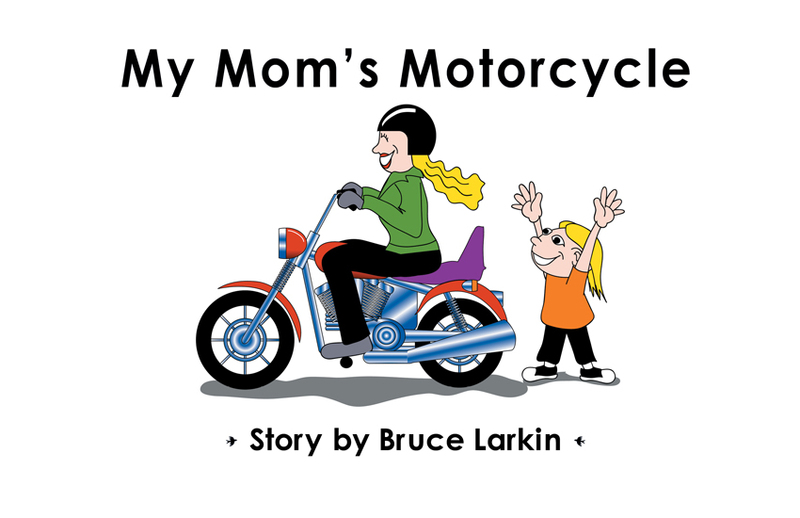 This illustrated book, narrated by a little girl, identifies parts of a motorcycle, pride for her motorcycle-driving-mom, and the hope she too will be a motorcycle-driver someday. 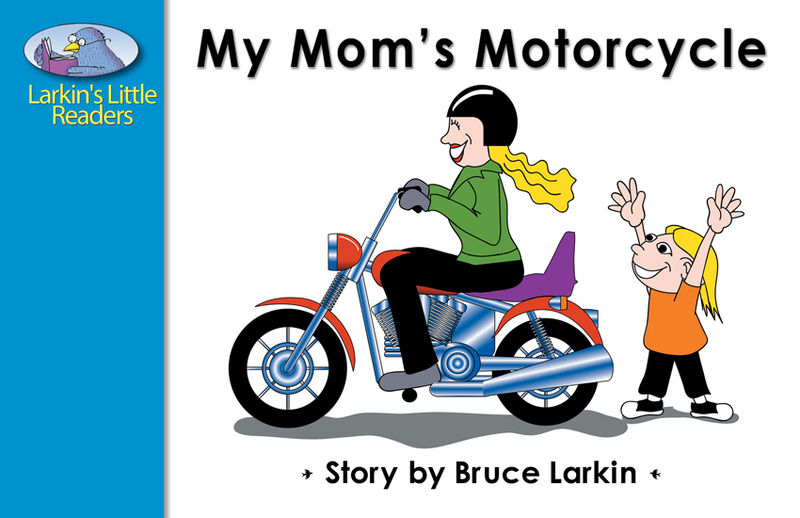 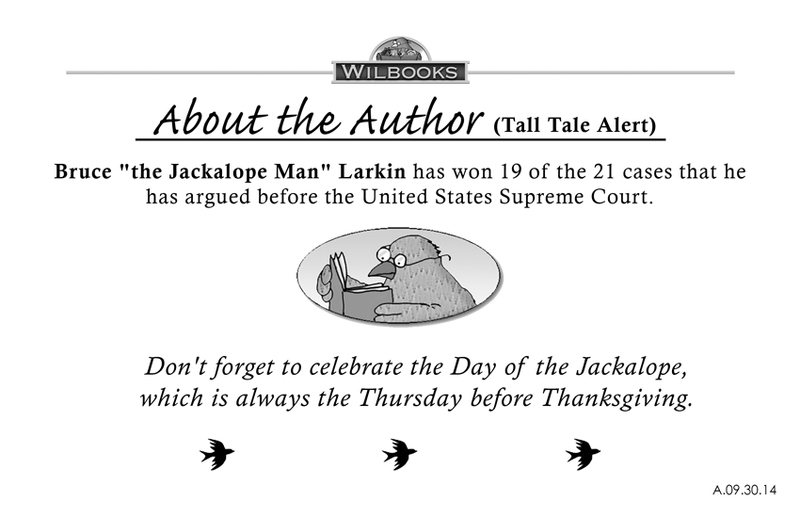 A good book to teach possessive.